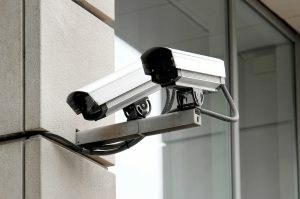 For a lot of businesses, security cameras are one of your main lines of defense against potential theft of your goods. No matter if you’re a small specialty shop, or a massive retailer, asset protection is a must. As such, most businesses employ a security system of some sort that is in place already. However, for many businesses, their system is woefully out of date which can make it difficult, if not impossible, to identify thieves. Even if the system is not entirely outdated, and has a CCTV System with a 960H resolution, you will still likely want to upgrade to either an HD camera based security system, such as HD-TVI, or an IP system, for added protection. There are many perceived obstacles in upgrading a system, but they all boil down to one. Cost. The three major concerns associated with that are, rewiring for the CAT-5 or coax cable used in connecting traditional analog systems, the DVR system for recording the video, and lastly – but arguably most importantly – the cameras themselves. We’re going to go over all of these in more depth and cover what you can do to upgrade your system. For many who are concerned about upgrading their system, one major obstacle is likely the costs associated with rerunning the cable required for the system. Luckily, for many who have existing systems and used RG59 or RG6 coax cable to run the video from your CCTV cameras back to your DVR, you can likely keep your existing coax cable and simply upgrade the cameras and DVR system. For other cables, such as RG59 Siamese cable on your original installation, you can also use the 18/2 power wire to run power to HD cameras, just like a CCTV. The BNC connectors and power plugs are also same which further reduces new wiring needed. If you used pre-made CCTV camera cables, you may be able to re-use some or all your cable with HD cameras. If the premade cables are RG59 gauge, then you can use them. If they are a thinner gauge cable, then you need to test to be sure. HD cameras generally require coax cable of RG59 gauge or greater. If you have CAT-5 cable or another type of UTP cable, you may be able to leverage that cable when upgrading to HD. Many existing CCTV systems use CAT-5 connected to video baluns in order to run video from cameras to a DVR so an upgrade to HD systems may be even easier. With that being said, HD-SDI cameras don’t work with UTP cables and instead require coax. So your selection of HD cameras would be somewhat limited. When it comes to power supplies, just like CCTV cameras, HD security cameras use either a 12V DC or 24VAC power supply. So simply match the new system to the existing power to continue to use the existing power supply. Be sure to match the amperage as well in order to prevent any potential damage to the new system. For those who are looking to upgrade, there are a few things you need to consider regarding the DVR you are using. If your existing DVR is a hybrid, then you are able to keep your existing DVR. If your DVR was made before 2014, however, it is unlikely that you have a hybrid already. Hybrid DVRs support more than one video standard, such as SD and HD. This allows you to maintain your existing analog CCTV cameras and simply replace cameras at key locations with HD higher resolutions, such as 720p or 1080p, to gain the benefits of HD coverage where its most important without needing as much investment in cameras. This also provides a more adjustable upgrade path so owners can use existing SD cameras and later add HD cameras to their system by replacing the SD cameras over time. With that being said, without the hybrid DVR, you will simply need a new DVR in order to take advantage of the more cost effective approach to upgrading. HD-IP security systems however may require a bit more investment in order to get up and running. These systems come loaded with many new features due to their network capabilities, but often will require new wiring in addition to an entirely new system installation. For many, the benefits far outweigh the costs, but it is something that you would need to decide for yourself. As we mentioned above, cameras need not be upgraded all at once. Assuming that you’re upgrading an older analog SD camera system, or looking to install an entirely new system, there are multiple options when it comes to what kind of camera systems to look at. When it comes to HD cameras, you have three main options to choose from, IP, TVI, and SDI. We’ll be going over the main differences and advantages of each below. 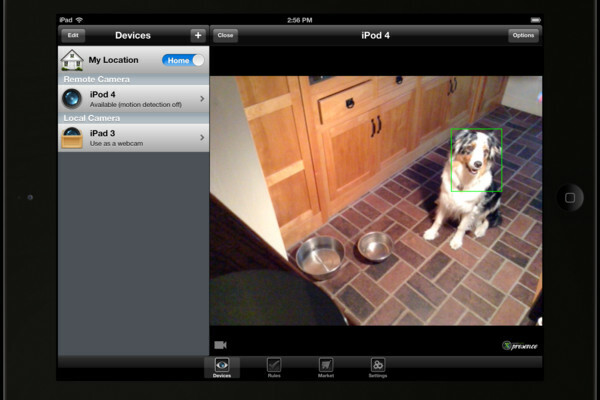 IP has a large number of unique features, such as not needing to be directly wired to your recording device – as long as your NVR and cameras are connected to your computer network, they will be able to interact with each other and other devices on the network. IP also can connect to video analytic software providers that can perform multiple advanced tasks ranging from reading license plates to facial recognition. IP systems can also communicate with other digital devices such as digital alarm systems, POS systems, lighting systems and many other devices as long as the devices in question are compatible. This system, while the most extensive in features, is also the costliest. In addition to the increased cost of cameras, it will also require new will require additional new hardware. One of the first forays into hybrid systems allows for you to keep your existing SD system and coax cabling and simply upgrade the cameras and DVR. This is among the cheapest options when it comes to upgrading your cameras. This method, however, is being phased out currently is partially the reason for the decreased cost. Similar to HD-SDI, HD-TVI is set up to be used as a hybrid system. Being capable of using the same cables as existing analog systems, a HD-TVI system is able to keep existing SD cameras recording, while also maintaining HD systems running at 720p or 1080p. With so many options to upgrade an existing system, it should be fairly clear that upgrading to a hybrid system is an attainable goal for anyone wanting to provide a better security solution for their business. HD-TVI Systems allow for incredibly easy transition into a full HD camera system over time. 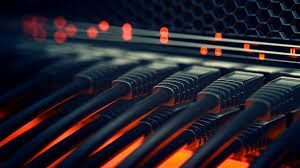 While you might not have as many features as a full IP system, you are able to improve over time and save money in the short term while still getting the clarity and high quality picture associated with 720p or 1080p cameras while still utilizing any existing cabling and keeping the analog cameras online.